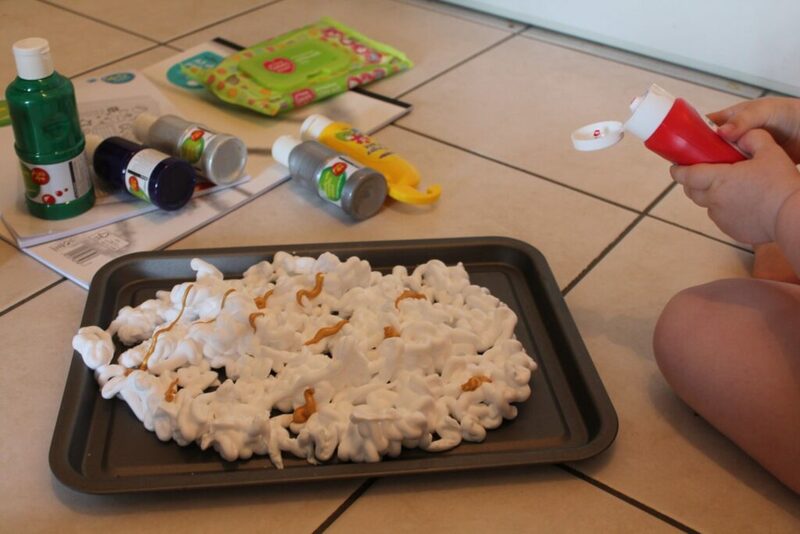 This is an ideal activity for outside in the garden as it can get a bit messy, but also useful for those rainy summer days when you need to entertain little people with things you’ve got in the house already! 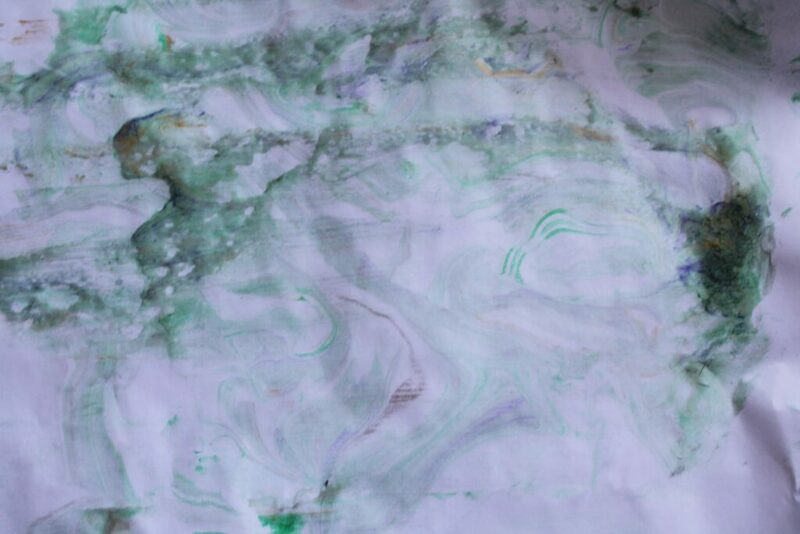 A tray, shaving foam, washable paint, a stirrer, some cardboard and some paper! Babywipes and kitchen roll are helpful too for tidying up during and after! You could also use food dye instead of paint. 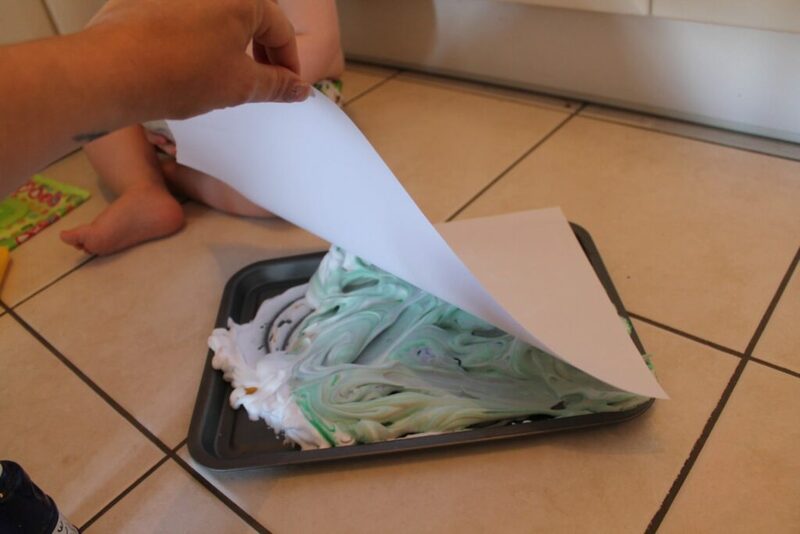 Squirt a generous amount of shaving foam into your tray. Attempt to get child to smooth it out but if they don’t fancy it like mine then it’s fine to leave it! Add paint, in any amount/colour/pattern you wish! This is the bit Athena liked doing so it was all a bit random! 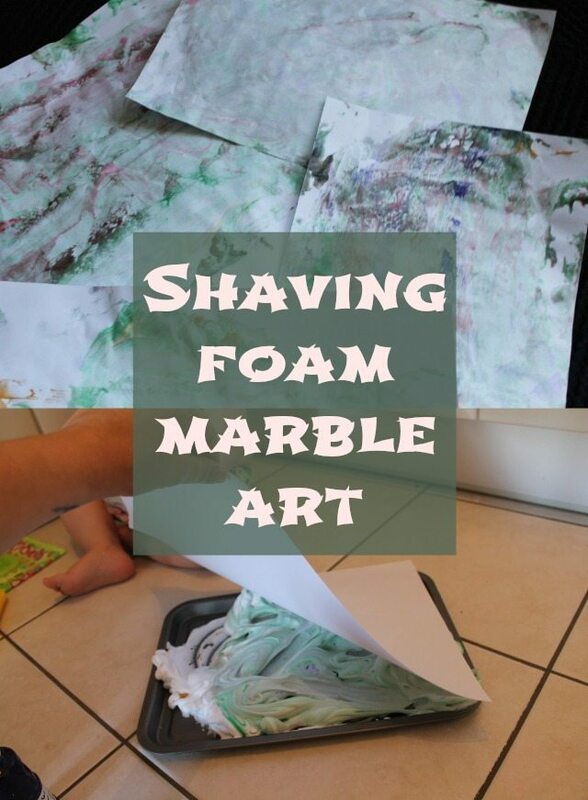 Mix the paint and shaving foam together. Try not to mix it too much otherwise you’ll end up with a nice grey mess! 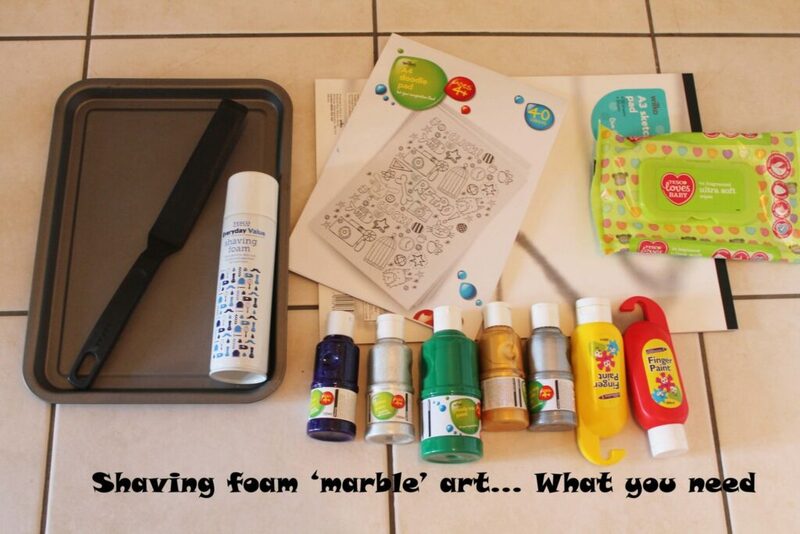 You can add more paint to the foam once you’ve made some prints, and keep on going or you can clear the tray and start again! 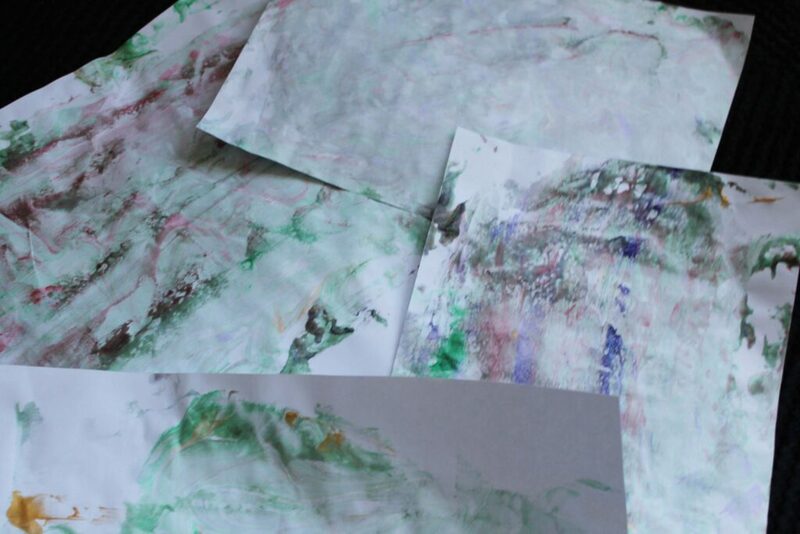 for more vibrant paint colours non waterproof works best, but with a small messy toddler we’re not quite ready to go down the oil paints route just yet! A ruler would work better as a scraper, but we don’t have one! 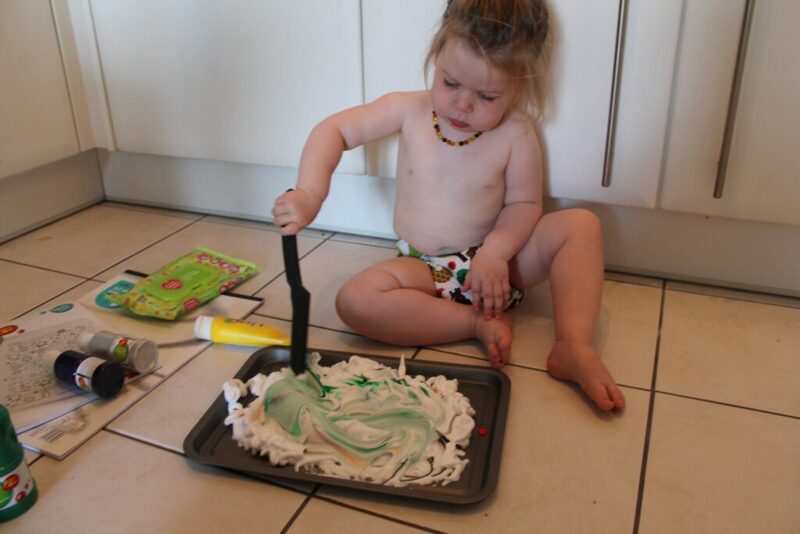 for older children you can use different ‘tools’ to make patterns in the foam, like forks or whisks for example! using felt tips, crayons or stickers decorate it some more! Lauren is a mama to two, living on the South Coast. When she's not stopping the big one from hugging the little one too hard she can be found eating biscuits, consuming tea by the bucket load and reading.